Growing between 50-200 cm tall, Blueberry Marijuana seeds are capable of producing heavy yielding plants, given good conditions. Whether your a beginner or a more experienced grower, this is a great strain that performs well when grown both indoors and outside. 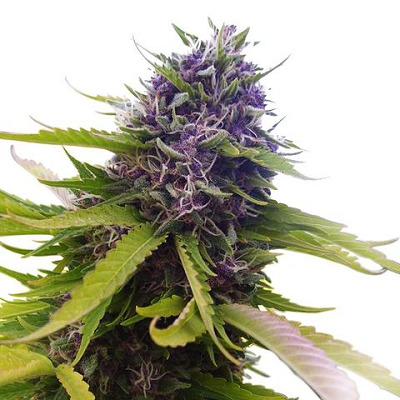 These Blueberry Marijuana seeds are predominately an Indica, with only 20% Sativa genes. Plants are sturdy and strong with close lateral branching capable of producing between 500-700 grams per square meter of fruity tasting marijuana buds. Colorful buds with red and purple flowers burst forth, slowly turning to a blue color as they mature. Blueberry Marijuana has a reasonable THC level of approximately 16%, but it does produce a high level of CBD making it a perfect choice as a blend of medical marijuana. With it’s fruity taste many patients find it can help relieve the symptoms of anxiety, PMS, bipolar disorder and more. 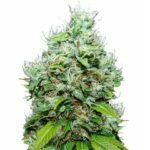 Available in packs of 3, 5 and 10, these Blueberry Marijuana seeds are guaranteed to be feminized, producing only female plants, each guaranteed to germinate into stable,female Blueberry Marijuana plant. 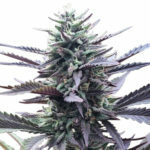 Find Out How To Buy Blueberry Marijuana Seeds. Ordered some seeds and they did not arrived! Emailed them and they reshipped instantly! This is my 3rd order from them and first time I have had any trouble. The germination rate of the seeds are 95-100% and about 10-12 oz. per plant!! Great seeds and excellent customer care! I will continue to order from them.